writes for The Guardian. He wrote Utopia and the Valley of Tears: A journey through the Spanish crisis, and is working on another book on Spain for Verso. Few occupations are as frenetic and time-consuming as job hunting. During a week in Estepa, a small hilltop town known as ‘the heart of Andalusia’, I anticipated boundless horizons of enforced idleness. Unemployment is 33 per cent in southern Spain. It seemed reasonable to assume that there would be limitless time to sit with Antonio and his friends, drinking coffee in the winter sunshine, flicking olive stones into ashtrays for sport, and contemplating the rolling hills. Andalusia has long been characterised as lazy by northern Spaniards. In that sense, it’s analogous to the southern states of the US — the industrial north resents the slower pace of life in the warm south, and dismisses poverty as sloth. There wasn’t much time for olive stone-flicking, competitive or otherwise. Antonio was constantly hustling. I should have guessed. When I met him two years earlier in London, he was using his degree from the University of Granada to throw himself into any work he could find, however overqualified he was. He worked as a delivery driver for a Chinese restaurant in Surrey, spent Saturday nights arranging the Peri-Peri sauce in the Balham Nandos, started a handyman business, and DJed disco records on Thames pleasure boats. Out there, even an ersatz mafia boss is swimming against the tide. Andalusia’s economy had become hugely reliant on the coastal construction industry, so its collapse has been devastating. As Emma, a hostel receptionist in Seville, explained, a whole generation had been encouraged to leave school before taking their final exams, in order to rake in the short-term gains on the building sites — often earning €3,000 or €4,000 (more than £2,000-£3,000) a month. The ‘brick crisis’ had ruined her generation, she said. Many of her friends were left with mortgages they couldn’t pay, young children in school, no qualifications, and seemingly no prospect of finding any other work. 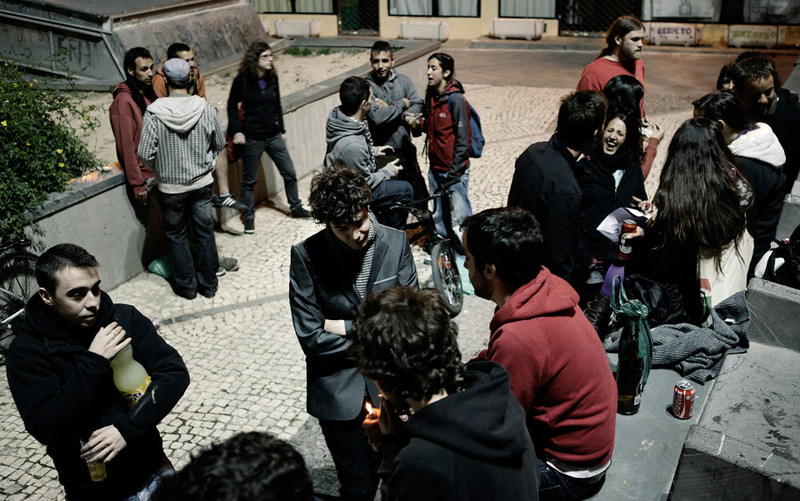 The crash has disproportionately punished Spain’s young people. At 30, Antonio is not in the demographic that has borne the brunt: the 16- to 24-year-olds among whom there was 47 per cent unemployment a year ago, rising to 50 per cent, and most recently, 53 per cent. The numbers start to lose meaning when they follow so rapidly after one another: 800,000 empty homes; more than five and a half million unemployed; up to eight million indignados on the streets, calling for ‘real democracy now’; €65 billion of cuts on the way. Antonio, like so many others, had returned to the family home, living with his parents and younger brother. The Ortiz homestead certainly felt cosy as we stretched out by their dining table, under heaters that took the edge off the relative evening chill of January. After a bit of family catching-up in rapid, heavily accented Andalusian Spanish, Antonio passed on the news to me in English. ‘So, my mother just got a call this morning: my brother has just lost his job. It was a big company as well. Just closed completely. He got one month’s notice.’ Antonio and his mum shrugged. She was knitting determinedly. It’s hard to be shocked when the statistics make stories like this so likely. But the news hung over the table. An interminable TV talk show was rattling away in the background. Antonio’s other brother Manuel returned from work — he drives an hour each way to his job as a primary schoolteacher — and gave me a friendly clip around the ear. He joined us, knees under the tablecloth, for a comforting bowl of beef and potato stew. As the family proceeded through an itemised list of everyone they knew who’d lost their jobs recently, Manuel did what I began to recognise as ‘the crisis sigh’: a unique expression that combines a slight eye-roll and a resigned half-smile. 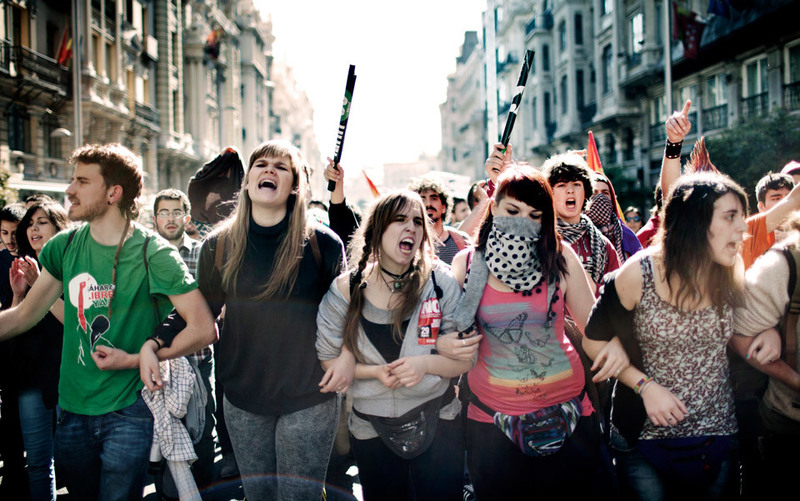 Of course, these graduates, from Spain’s broad middle-class, are not at the sharpest end of the country’s deepening crisis. There is an undoubted privilege in being able to consider emigration as an option, to have an emotionally and spatially accommodating family home that will offer a fallback. These are the much-discussed graduates with no future, a group who were integral to the various global ruptures in 2011, and whose very existence suggests more of the same. Spain’s young unemployed certainly do not lack the skills to sustain the country’s lunge into post-Fordist modernity. The fruits of three decades of social democracy since Franco are now mouldering in the heat. Forty per cent of Spanish 25- to 34-year-olds have degrees, compared with the EU average of 34 per cent. Yet few of them can find a way to use those qualifications in the country where they earned them. And so they are leaving. There are no official figures but several estimates put the number of graduates who have departed since the crisis began at around 300,000. The great historical brain drains tended to emerge either from a dearth of particular skills in the destination country or from the persecution of a particular group in the country of origin, or both. Scientists left post-war Europe for America because of the skills gap in the latter, while 17th-century Huguenots fled Louis XIV’s regime for their own safety and ended up starting what would become the South African wine industry. What’s happening in Spain looks altogether more ragged and unfocused. Perhaps this is a vision of the West’s medium-term future: itinerant human capital spreading out in a thousand directions at once, like an anthill hit with a spade, as outsourcing, automation, and the immutable rise of the global south leave an over-educated post-Franco generation with the skills to work everywhere and no opportunity to apply them at home. While Antonio pursued various options at home and abroad, his father gave him an offer he couldn’t refuse — though he very much wanted to. A business contact needed a new middle manager for his export business, and had consented to see Antonio on his father’s assurance that he was bright, eager and well qualified. The problem was, this contact didn’t have time to sit down and interview Antonio in Estepa. Instead, he wanted him to come along in the car while they drove to meet a client in Granada. Antonio calculated what that meant for his day: an hour and a half on the road with some old duffer he’d never met, then an hour for the client meeting, then lunch in Granada, then an hour and a half back again. ‘My whole day will be gone!’ he cried. He was frustrated because he had so many other things to do, so many emails to send to contacts in Sweden and England about Heart of Andalusia. The bonds of Spanish patronage are tight, though. He couldn’t turn down something his father had already set up. In the end, his father’s contact liked him a lot, and offered him the job — but it would be a big commitment, and Antonio felt compelled to be honest. ‘I might not be here in six months,’ he had said, slightly sheepishly. ‘It was better to tell him that than to take the job for a bit, then when I am ready to go back to England, or Germany, or France, or …’ He tailed off. Sure enough, within a few months of my visit, he had used his savings to fly to the UK for a job interview in Brighton (no luck), and eventually found his way to Berlin, where he intends to remain indefinitely. In the meantime, there were more meetings to be had, more international Skype calls, more hustling — even some more studying. Andalusia was the only place holding civil service exams in the summer, and they’d had an unprecedented number of applications. Sensing that the end for this kind of job was nigh, everyone seemed to have entered. ‘It’s like a mass job lottery, for the last few secure positions in the country,’ Antonio explained. ‘And they only cost €20 to enter so, I thought, why not? But I am not really bothering to study hard, I’m too busy with my other projects.’ His sister-in-law, on the other hand, had been working every day, grabbing every spare moment to revise for the exams. It was, Antonio said in an uncharacteristically sombre tone, her one hope. After a few days it was time to return to the big city, Seville. Antonio had had another work-related meeting arranged for him. At times, it seems as if Spain could ride out the crisis just on its recessionproof determination to meet up for coffee. In this case, a friend of Antonio’s from school, now an entrepreneur with his own private security firm, had put Antonio in touch with the daughter of a business associate. Cherezade was an unemployed teacher. She wanted advice about moving to London to find work. Antonio’s friend had also intimated to him that Cherezade was single, which made him grin coyly. But he wouldn’t be drawn into such game-playing. He’d agreed to the meeting out of the kindness of his heart. We walked through Seville’s impeccably preserved city centre, past the Giralda tower, the cathedral, the Alcázar palace, monuments to wealth plundered during globalisation 1.0. The appointed meeting place was down towards the Guadalquivir river, in a mosaic-clad corridor of a bar with just two small tables and a chalkboard menu. Formal introductions were made. The atmosphere was somewhere between a business meeting and a more ancient ritual, perhaps the discussion of a dowry. Six of us were present: beside myself and Antonio’s school friend, Cherezade’s parents were both there. Her mother stood dotingly behind her chair while Cherezade asked Antonio questions, shyly but methodically. Her father, a haughty man in his fifties, dashed out every few minutes to talk on his BlackBerry, returning with plates of pork rillette, langoustine drenched in garlic butter, and morcilla or black pudding on toast, drizzled with honey. After probing Antonio’s social, professional and domestic experiences in the UK, Cherezade bowed her head and turned to me. Was there much work in London at the moment, she asked hopefully, what with the Olympics? I told her that it wasn’t as bad as Andalusia. She smiled meekly and said that would have to do. Two months later, she surprised me with an email. She was setting off for London in a week and still hadn’t found any work or anywhere to live. I detected a note of panic in her ‘jejeje’ (‘hehehe’ in Spanish) but, as she said herself, what else was she going to do? Walking through Seville’s open-air museum of an old town, Antonio weighed up where to go next — London, Stockholm, Paris, Berlin? Each had their advantages. Each was undermined by not being Seville. So you’d stay if you could, I asked? ‘Of course,’ he snapped. 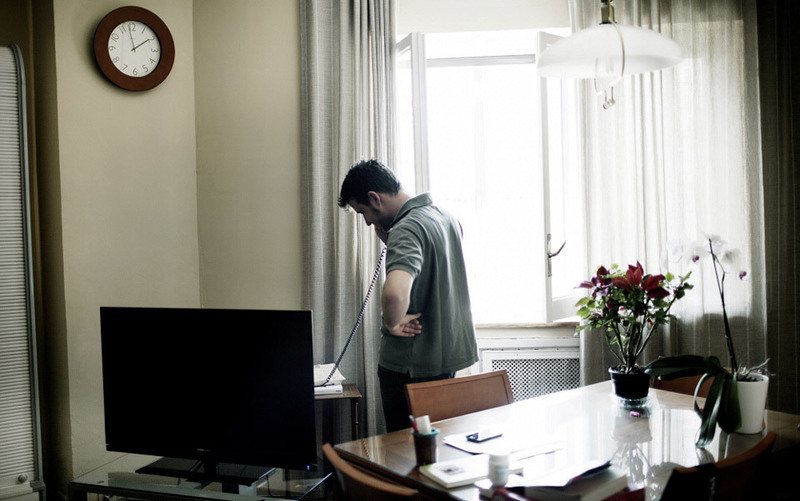 As we swung past the town hall, still in the hands of the social democrat Spanish Socialist Workers’ Party (PSOE), Antonio got a text message from an old friend. It asked if he had heard the rumours that the right-wing People’s Party (PP) were going to scrap the civic exams — and with them, that last tranche of secure jobs. ‘I’m going to vote PP in the next regional elections anyway,’ Antonio concluded defiantly. I expressed surprise. He hadn’t struck me as a conservative. ‘I’ve just had enough of PSOE,’ he said. ‘They have been in power in Andalusia for so long. They are so corrupt, they would do anything for power.’ He told me that he had lost his job in Seville’s civil service because of the PSOE; they checked the lists of civic employees and the non-party members were always the first to go when cuts were made. This sounded like a conspiracy theory to me, an unlikely interpretation from someone so smart: but he was adamant. ‘They have to go. I am so angry!’ he insisted. Patting him on the shoulder, I said, ‘You could almost say that you are … indignant? Six weeks later, in Gracia in northern Barcelona, an unpretentious, youthful quarter, I met Tom, an English friend I’d made via online discussions of the indignados, and his Catalan wife, Gemma. Sitting in a sunny square and dabbing forks at patatas bravas, I told Gemma how fascinating it was to an outsider that the Spanish family unit seemed able to support these astonishing levels of unemployment. ‘It’s not just unemployed people, though,’ she said. ‘That’s Spain. I have a job and I’m doing a university course, and I have a flat, and I’m married, and I’m 30. I feel like a grown-up — but my mother still says to me, “Oh, you’re so busy, with your studying and your job, you don’t have time to do washing — you should bring it home, I’ll do it for you”.’ Every time Gemma went home to see her parents, she would return with plastic containers full of freshly cooked food stacked up to her chin. ‘They know I can cook!’ she laughed. The next weekend, at a demonstration against new labour reforms designed to make it easier to sack people, I ran into Tom and Gemma again. ‘Fun, isn’t it?’ Gemma asked as a samba band started up. ‘It’s just a warm-up for the general strike and the summer.’ Flexing those muscles again, airing out the banners, warming up the vocal chords. There was an astonishing number of Second Republic flags: the red, yellow and purple tricolour of the government ousted by Franco’s military coup in 1936. A symbol of antifascism raised up once again, but this time, against what? Against austerity? Against capitalism in general? The resurgence of the Second Republic flag felt odd: a kind of ready-to-wear identity for those alienated from the prevailing orthodoxy. It remains to be seen whether ‘the two Spains’ of old will return to their magnetic poles of right and left. The latter are certainly becoming increasingly vocal, and they will only become more so as prime minister Mariano Rajoy’s austerity programme takes effect. When the demo arrived at its destination, Plaça de Catalunya, there were no speeches, no tabletop pamphlet sellers, no sociable lingering. Ten thousand people instantly dispersed, as if a bomb had gone off: it was Sunday, and 2pm. There were family lunches that needed eating. I turned on my heel and walked inland to meet another contact, a film-maker and journalist who had once come to London to interview me about British dance music. Like Antonio, Eduardo had been sucker-punched by the crisis. He was 36 and had spent more than a decade of his adult life building his skills, experience, and independence during the good times. His friends mostly seemed to be several years younger than him, including his girlfriend Julia, who was 28. The couple had met while working on a culture magazine two years previously. It had seemed quite stable by the standards of the industry but, nevertheless, it folded. Eduardo proposed meeting at the same square in Gracia where I had met Tom and Gemma. It was a popular spot among young Catalans, tucked away from the tourists and moving to a gentler rhythm than that dictated by the hawkers and hucksters of Las Ramblas. Inside our café, only two tables were occupied and a faint yellow light glowered over the mahogany bar, but the outdoor seats were in huge demand, slow-cooking in the dazzling March sunshine. Eduardo and Julia were a fashionable couple, of the kind you might see at a hipster rockabilly night in London. Eduardo wore Chelsea boots, mod jacket and rich blue jeans. His helmet of black hair was flecked with grey. Julia was strikingly pale. She wore an Audrey Hepburn outfit, a black-and-white polka-dot dress with ruffles and matching hairband. For about five hours, we grazed on tapas and beers, lemonades, coffees and vermouth. Several friends came and went. Others stopped by to chat. Since losing his job, Eduardo had been trying to get freelance work. Even with 15 years of contacts in the media and in Barcelona’s music industry, it was incredibly hard. ‘No one wants to pay for anything anymore,’ he lamented, picking dolefully at a plate of salted potatoes. Nine months earlier, he had left his flat and moved back into his mother’s house in suburban Vall d’Hebron. ‘It’s about 20 minutes further out from here on my scooter,’ he said. ‘I get on with my mother, but there’s nothing to do there. I have to come into Barcelona all the time for fun, and for work.’ I asked if he felt strange living back at home in his 30s. ‘It’s better than the alternative,’ he said, ‘spending my savings living in a small flat with no space, no garden, no patio.’ Your 30s are different to your 20s, he told his younger friends, and better too — you lose your nervous sense of who you are. You slide into a more comfortable gear. Three of the girls facing into the sinking winter sun had put on large, round sunglasses. ‘Hey,’ Julia interrupted, ‘can you take a picture? We look like movie stars.’ Eduardo tried to take a photograph but he couldn’t steady his shaking hand. Too many drugs in his 20s? I didn’t like to ask. Later, he started rolling a joint, which was a similarly messy affair. As the afternoon wound on, the marijuana and vermouth kicked in, and the combination pushed Eduardo into a much giddier gear, the narcotic muscle memory of a youth well lived flowing through him. He gripped the arm of the plastic chair and laughed loud, lifting his chin up to the sky. Catalonia has long been the breadbasket of Spain, the industrial hub that, under Franco, drew so many people from poor rural areas. The process left numerous villages abandoned altogether. These ghost villages have a modern partner, the massive new suburbs of Madrid built during the construction boom, some of them finished just as the collapse hit. Seseña, 50 miles south of Madrid, was built to house 30,000 people. Now it is all but empty, a three-dimensional blueprint of systemic failure. Meanwhile, in Rasquera, a small hilltop town some 100 miles south-west from Barcelona, finances became so dire this year that the town embarked on a serious plan to sell marijuana as a cash-crop. The Asociación Barcelonesa Cannábica de Autoconsumo agreed a price of €1.3 million over two years for the harvest. Only central government interventions to try to prove that the plan is illegal — which it might not be — have slowed it down. He meant his mum’s home, but also Barcelona. The closer he got to the job in Madrid, the more unhappy he became, even though Julia’s departure to New York meant they would have to split up anyway. Earlier, as we stood idly outside an electronica gig in a record shop in the Barri Gòtic area, I had tried to tell him that moving could be a useful distraction from missing Julia. All around us, black-haired, well-manicured goth hipsters smoked skinny roll-ups and necked bottles of Estrella, occasionally jumping off into a doorway when a motorbike passed down the narrow street. The motion seemed deft — almost unconscious — and good-natured. Those medieval streets were a shared space, everyone understood that. It had been a memorable evening. It included my first ride on the back of a scooter, which might have been the most thrilling experience of my life. We cruised the empty three-lane highways, unguarded, stoned, and drunk. Once you’ve accepted the possibility that you might die at any moment, speeding through the Barcelona night was pure exhilaration. What do I have to do, I asked slightly nervously, before we set off? ‘Just hang on,’ said Eduardo. On the 45-minute journey home we climbed past the pseudo-tropical palms of the former Olympic site, up and up to Vall d’Hebron, the city in the mountains. Through long empty tunnels, the cold wind drew tears; a rush of early 1990s computer games, the simulated yellow glow on the tarmac. Previously, we had seen the British DJ Rustie in the foyer of CaixaForum Madrid, a big art museum, bathed in blue light and framed by incongruous posters advertising a Delacroix exhibition. Then another bar, with more friends and acquaintances, locals, Finns and Englishmen, then eventually a 1960s-themed club run by some of Julia’s friends. The vaga general, or general strike, was approaching, the red and black banners of the anarcho-syndicalist CNT union hung along the Diagonal, the endless avenue that bisects the entire city. In his 2006 travelogue Ghosts of Spain, Giles Tremlett describes the steely eyed determination with which post-Franco Spain pursued hedonism as ‘the heavy breathing of her freedom’. For 30 years, good times have been an act of self-determination and emancipation in themselves, following decades of cultural repression and denial. That night — calm yet full of life, drunken but never self-destructive, felt emblematic of an easier kind of freedom — a country breathing through the pores, not the mouth. Spain will need a new kind of miracle for it to continue.